Reading Horse Racing Odds Doesn't Have to Be Complicated! To an uneducated observer, the mechanics of horse racing can seem complicated on first glance. Learning how to read and understand horse racing odds and their associated oddball nuances is no exception to this. However, horse racing and its essential element, odds, don’t have to be confusing. They’re easy to understand with a quick explanation. Learning the ropes of horse racing betting leads to new betting opportunity and profitability. If you are new to sports betting, we’ve got a guide to reading rudimentary sports betting odds. American moneyline odds get rid of fractions, but and display the same information in an easier to read format. Odds displayed in American moneyline format (i.e. +110, -110) indicate if a team is generally considered the favorite/underdog. A “+” signifies the underdog, while a “-” sign denotes the favorite. If there are two or more horses with “-” numbers, the number closer to 0 is the underdog. If there are two or more horses with “+” numbers, the one with the highest number is the favorite. An American moneyline also tells you precisely how much you stand to win. A positive moneyline tells you how much you’ll win on a $100 bet. If you were betting on odds that were +150, for example, you’d know you stand to win $150. Conversely, a negative money line tells you how much you’ll have to wager in order to win $100. So, say you were betting on a line that was -200, you’d have to wager $200 to win $100. Fractional odds can easily be translated to percentages. Even odds (1/1) translate to a 50% implied probability, while 2/1 fraction represents a 33% probability. 3/2 means a 40% chance, 2/3 works out to 60%, and 10/1 means a 9% chance. Alternately, every time you see fractional odds, the first number likely represents the number of failures vs. chances of the event taking place. As such, a race with 1/1 odds would signify that for every one failure, there would be one success, giving you a 50% probability; a 2/1 fraction suggests that for every 2 failures, there’s one chance of success, giving you a 33% probability. Unlike sports, horse racing odds fluctuate every time a bet is made. This is called pari-mutuel wagering. In contrast, sports odds are fixed, meaning that once you wager, you’ve locked in the odds you’ve wagered at. With sports odds, you’re betting against the house, not other bettors. Pari-mutuel betting means you are betting against all other bettors. Rather than taking a 5-10% vig as they do on sports, the way a track or sportsbook makes money on horse racing is by taking a percentage out of the total betting pool. Depending on the track and type of bet, the percentage they take off the top in pari-mutuel betting is usually in the range of 10-30%. It’s similar to the rake, the amount the host establishment takes from each pot, in poker. Given that, we take the total pool and subtract 15% to go to the house. That’s a fairly a standard win bet takeout that goes to the track. That leaves us with $8,500 ($10,000-1,500). If Number 1 wins, we remove the $2,000 from the pool to return to those who bet it and $6,500 ($8,500-2,000) is divided by $2,000. This leaves $3.25 ($6,500/2,000) to be paid out to everyone who bet on horse Number 1. Winners collect their $3.25 plus their initial wager ($1) for a total of $4.25. Now that you understand how the payout is calculated, grasping how the odds get converted is fairly straightforward. Let’s continue with the example from above. Since every dollar wagered brings back $3.25 (in addition to getting the original wager returned), the horses’ odds are precisely 3.25 to 1. Instead of posting 3.25/1, an awkward and complicated number, the odds at the track will indicate 3/1. Tracks round down in large part so that customers don’t think they are going to get a larger return than they do. The odds board will indicate 3/1, and then the payoff will actually bring 3.25/1. In other words, if you see a horse that is 3/1, the odds are not exactly 3/1. The odds are at least 3/1 and as high as 3.49/1. If the actual odds were between 3.5/1 and 3.9/1 the listed price would be 7/2. While there are some exceptions, for generations the minimum and standard win bet has been $2. That being said, there are some sportsbooks with minimum bets on horse racing lower than $2. The easy way to calculate an approximate payout is to multiply the odds by your bet size and then add in the original bet amount. Odds on exotic bets (whether it be picking the order of finish in a race or choosing winners in multiple consecutive races) are much more difficult to calculate than standard win bets. If you bet a Daily Double, essentially a two-race parlay, and there are 10 horses in each race, meaning there are 100 possible combinations. Probable double payoffs are frequently flashed on a TV monitor or available online. If you like the combination of Horse #2 in race one and Horse #5 in race two, you can look up the 2-5 combo and see what it will pay. Exactas, picking who will finish first and second in a particular race in the correct order, are the same. You can look up what a 3-4 exacta will pay before the race, meaning if Horse #3 wins and Horse #4 finishes second, what that payout will be. All other exotic wagers, such as trifectas (picking the first three finishers in order in one race), superfectas (top four finishers) or Pick 3’s, 4’s, 5’s, and 6’s (multi-race parlays) have too many combinations to estimate the price. That being said, the more horses with long odds included in a winning ticket, the more an exotic bet will pay. If a lot of favorites are included, bettors are more likely to select those combinations making payout significantly smaller. Want to Learn More About Betting on Horse Racing? If you’re new to the horse racing game and still have a few questions about the basics, we’ve got you covered. 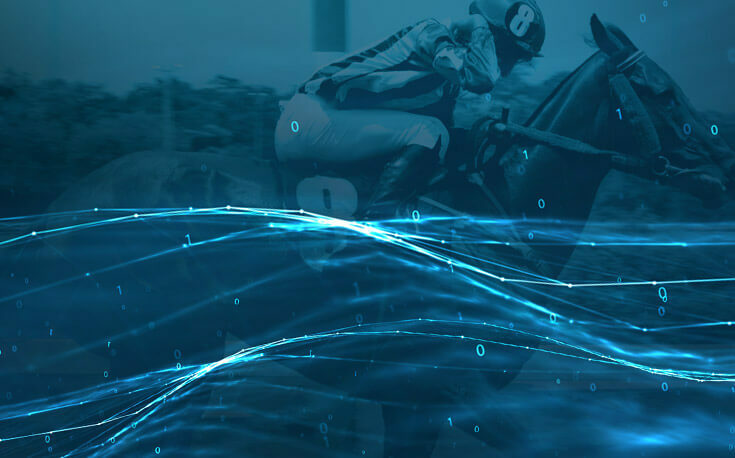 There’s a ton of considerations unique to horse racing that you’ll have to factor in, and you’ve got to do your homework if you’re hoping to boost your bankroll betting on the tracks. Want to know more about more betting on conventional, team sports? Check out our complete guide on how to bet on sports. Dave has been working in sports journalism for over 16 years. He has broadcast, written about, and reported on the NFL, NBA, MLB, the Olympics, horse racing, golf, tennis, and college sports. Dave has created content for the Associate Press, Metro Networks, ESPN, and numerous local publications.